It was exhilarating, to wake up and be able to look out of a window that wasn’t frozen and to be able to breathe. Yesterday evening the owner of our lodge told us that the way towards Phortse is complicated. 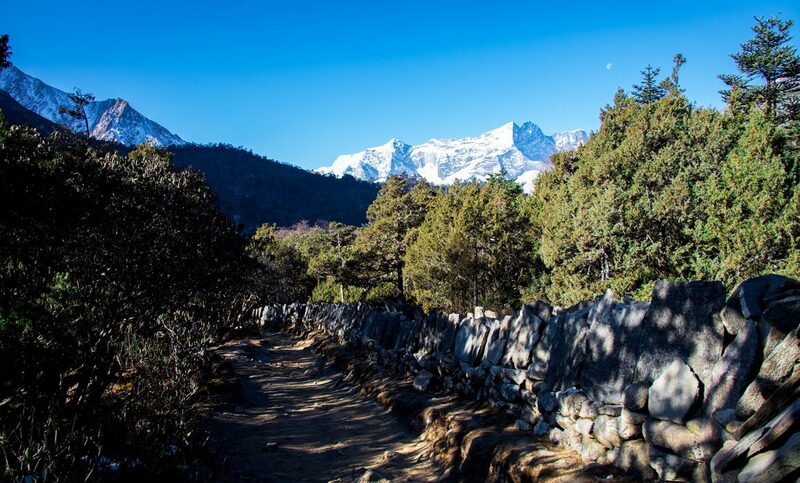 We chose to follow the path directly to Namche Bazaar. We shouldered our backpack early, at 7 am. The sun was still hiding behind a few mountains. Unfortunately, our Snickers supply was empty. If we wanted to hike the same amount of kilometer as the day before, we would have to get more Snickers! After crossing the river, we had to walk uphill again – which I thought, would be more comfortable at this point, but our muscles were still tired. It took longer than expected. It was already a lot warmer than 10 days before. You could feel the rapidly approaching spring. There was a rich, fresh smell in the air and the birds were singing in the morning sun. It was 10 am, and we counted already 20 helicopters. 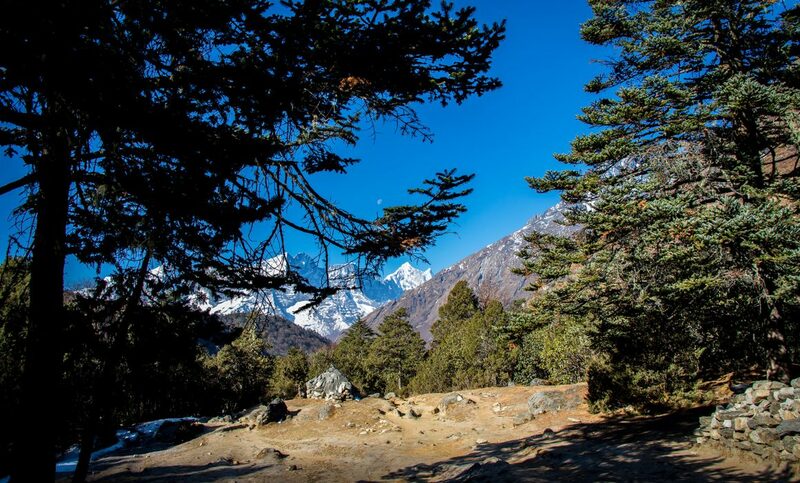 As we came closer towards Tengboche, the temperature dropped again. Around this area must be some super cold winds or something else, that makes the temperature drop. 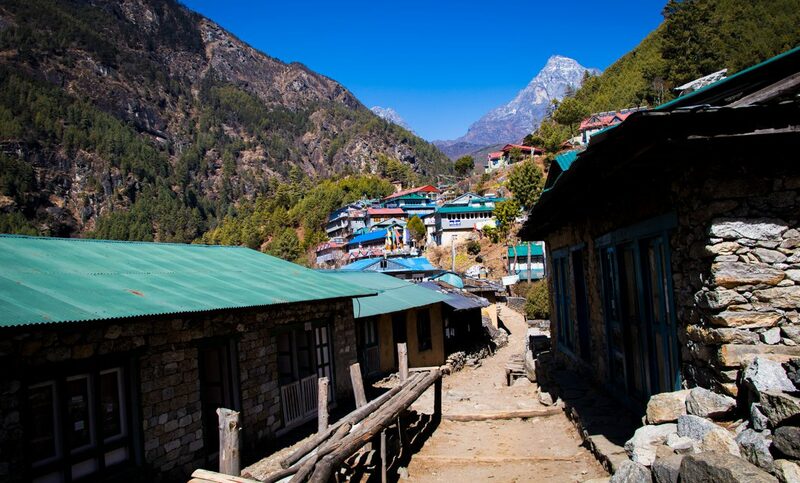 In Tengboche, we bought some Snickers and were already on our way down. In this direction, the trek was a breeze. On our way up, we had to stop at every turn. Now, we were joking how easy it was. When we reached the bottom of the valley, we saw the first trekkers on their way up. Their faces weren’t as relaxed, like ours. 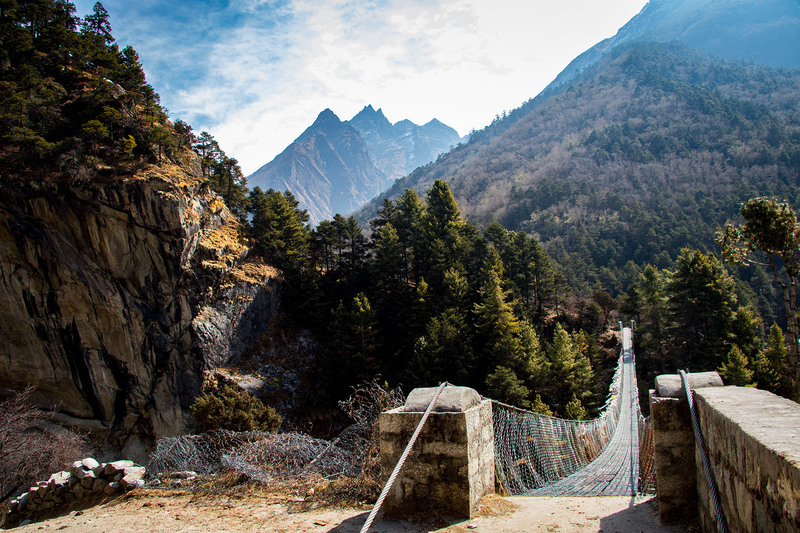 The way up towards Namche was a bit harder. Maybe we took it a little too easy, but this part took longer than expected. A few kilometers later we met the group, that we encountered in Dingboche. They were one day ahead of us, but due to our pace the day before we draw level with them. A nice feeling. 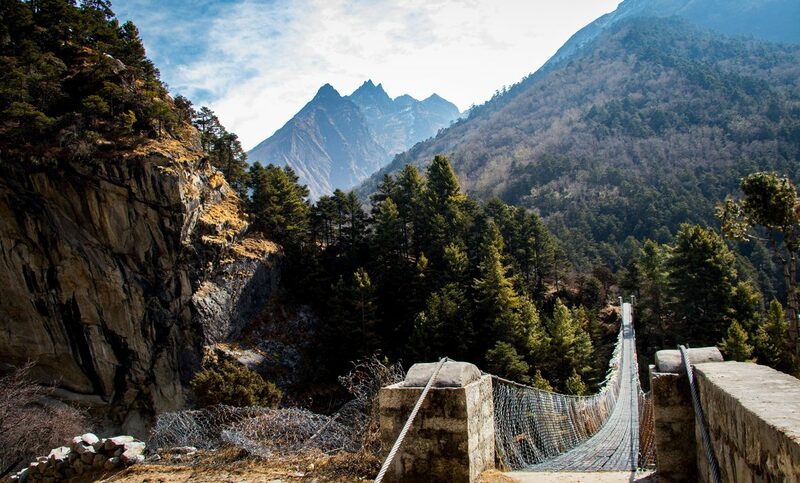 The leveled path in front of Namche was simple. 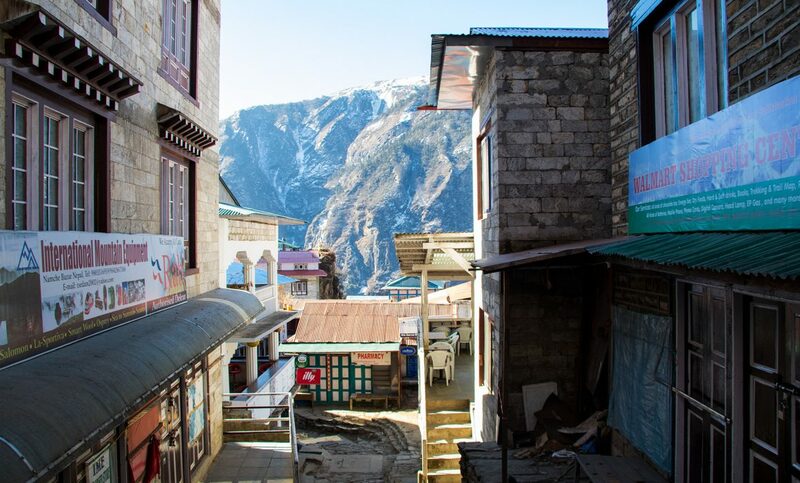 One thing we were not looking forward to, was picking up our stuff be had left behind in Namche the week before. We ate some spaghetti and fries at the Café de 8848. I know, it isn’t typical or something special, but – after 10 days of MoMos, Sherpa noodles, and soup – we both needed something else. 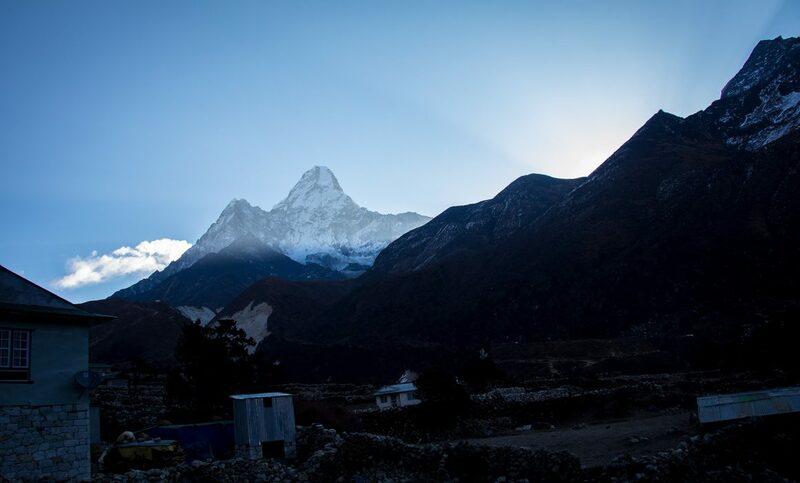 Namche was reawakening from the winter sleep. The streets were busy and there were a lot or trekkers, all the shops were open, and it was finally warm. To avoid losing time, we started right after finishing our food. On the way down we met a couple on their honeymoon. They did not have a porter or guide and were both carrying two backpacks. We could see the fear in their faces. It was already 4 pm, and both were a bit afraid, of not making it to Namche. We made a break and explained to them that we had been in the exact same situation, at the exact same point and we made it. 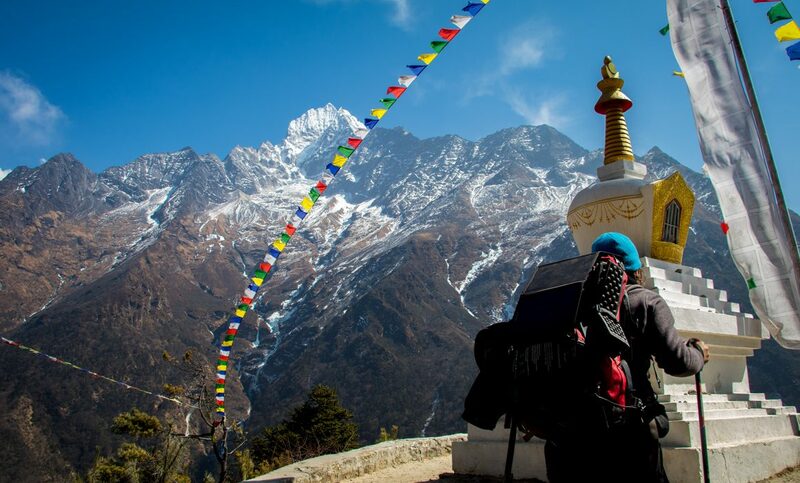 Just leave everything you don’t necessarily need for the trek behind in Namche. And get rid of the backpacks strapped to your chest! Everybody who has the will to do it and doesn’t rush can do it. 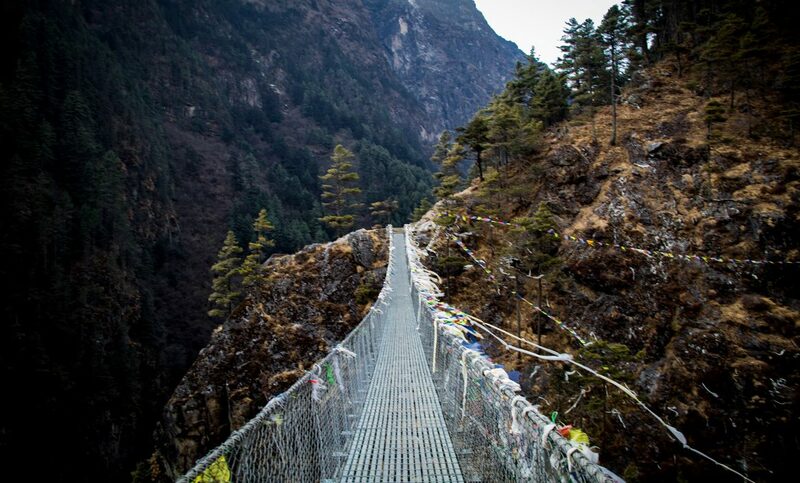 When we were on the suspension bridge, I was really sad, I knew that our adventure was coming to an end very soon. 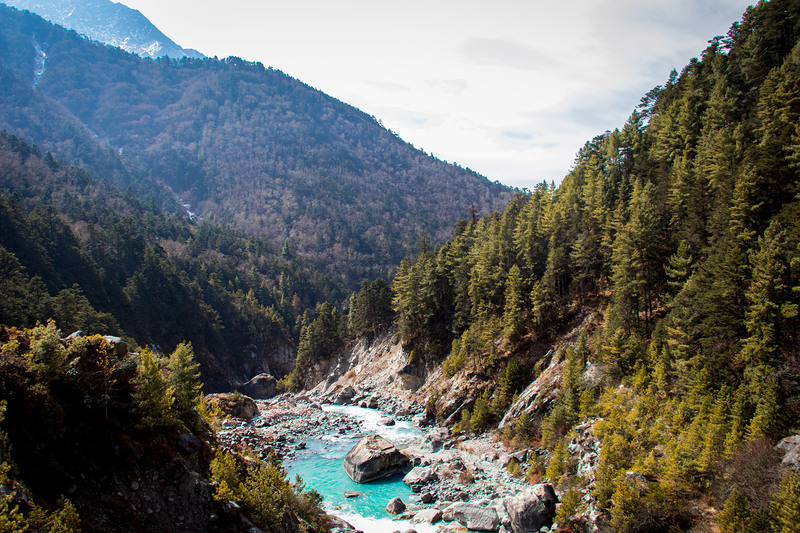 I would miss the Himalayas a lot, but we would miss the marvelous people we met along the way more. We came because of the mountain, but we will go back because of the friends we made. One of the final stops that day was Monjo. At the gate of the National Park, we met General Rajendra Chertri, the leader of the Nepalese army. We still don’t know why, but he wanted to take a selfie with us. These people are just extraordinary. We went into the first lodge we found in Benkar and had a big dinner. I still remember when one excited Bella came back from the bathroom and told me about running water! 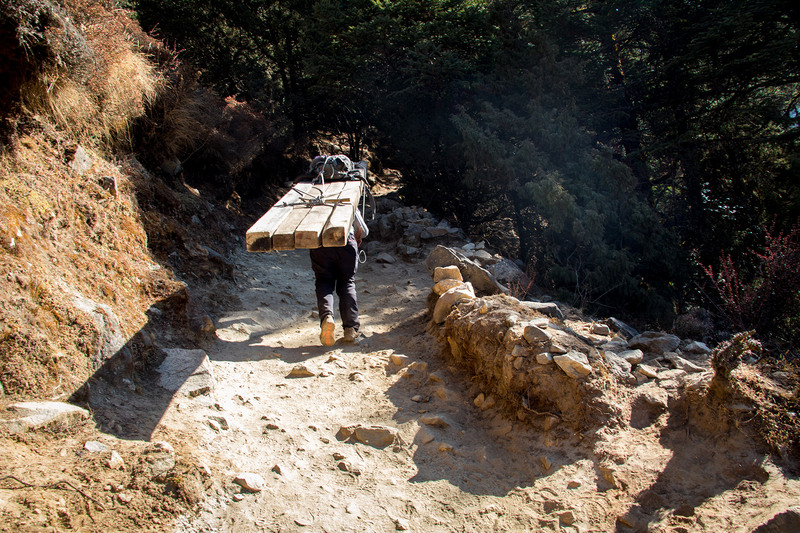 Tomorrow would be an easy walk towards Lukla, from where we would fly back to Kathmandu.